Colleran auctioneers has reported considerable interest in No 7 Shantalla Road since viewings started last week. In need of total renovation if not demolition, No 7 is certainly not for the faint hearted but this has clearly been reflected in the AMV of only €85,000. Sitting on a very large site with an unusually long back garden, this property offers obvious potential for development subject to planning. Accommodation currently consists of three spacious bedrooms, sitting room, kitchen, and bathroom. Located close to Cooke’s Corner, it is only a five minute stroll to the hospital, university, and city centre, making it very attractive to investors, builders, or a family looking for a city centre home with the bonus of a large back garden seldom found so close to the city centre. Open viewings take place every Saturday from 12.45pm to 1.15pm until the auction on March 27. 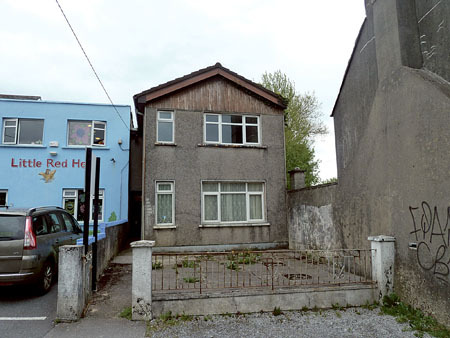 Also for auction on the same day is a small two bedroom terraced house on Nuns Island, off Mill Street, opposite the Garda station. Also in need of attention, this is a must see opportunity with an AMV of just €110,000. Open viewing takes place on Saturdays from 12 noon to 12.30pm. If doing up property is not your thing then No 168 Dun Na Carriage, off the Salthill Promenade, could be for you. A real pad, this luxury apartment is finished to the highest possible standard and its large south facing windows and balcony make for very bright living accommodation with some sea views. AMV is €180,000 and viewing is strongly recommended as there is currently little for sale to compare to this property. Open viewing this Saturday from 1.45pm to 2.15pm.